Sometimes I wonder why I work so hard. The more I slave the more apparent I work alone. For many, this is just another job. Just another vocation. Just another way to put food on the table. There’s no spark, no desire, no romance. Do what is required, make sure there is documentation & recognition. Anything extra is not necessary. Why waste time on something outside of your job description? Buat apa mau susah-susah? Itu bukan kerja kamu! Why am I the only one to go ahead & plan an activity-full year for the 2 clubs that I am put in-charge of fully aware that I may have to oversee every activity myself even when others are assigned to it as well? Why not just meet the students once a month, sing a few songs, shout at them a little bit & get the compulsory meetings over & done with like the others? Why do I complete 2 scripts to the best of my abilities for another person’s competition just to receive another 2 when I have already made it clear that I need to work on my competition which is due at the same time & was put on hold for this person? Why do I ask for more periods or conduct extra classes when I have already 24 to work with every week? Why do I care so much about these jungle children who are not even mine? My endlessly toiling body is fuelled by a painfully passionate soul leaning on a bent yet unbreakable spirit. My treasure is where my heart is. All things are possible for me who believes. 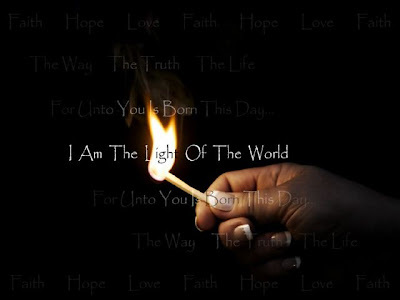 I am the light of the world. See my works & praise my Father in heaven. In my heart, I know I am not alone. Around this country there are countless others who carry a similar yoke. We are where much should have been done. The only difference between us & those before us is we stood up & said “I will”. We labour not in vain but with hope in our hearts & a vision in our minds. We lead the way for those whose hearts seek purpose & truth. It takes only one to make a difference. Will you promote meritocracy or mediocrity?